Conversations Magazine: (May 15-19, 2017) Conversations' Artist of the Week: Ricky Jarman! 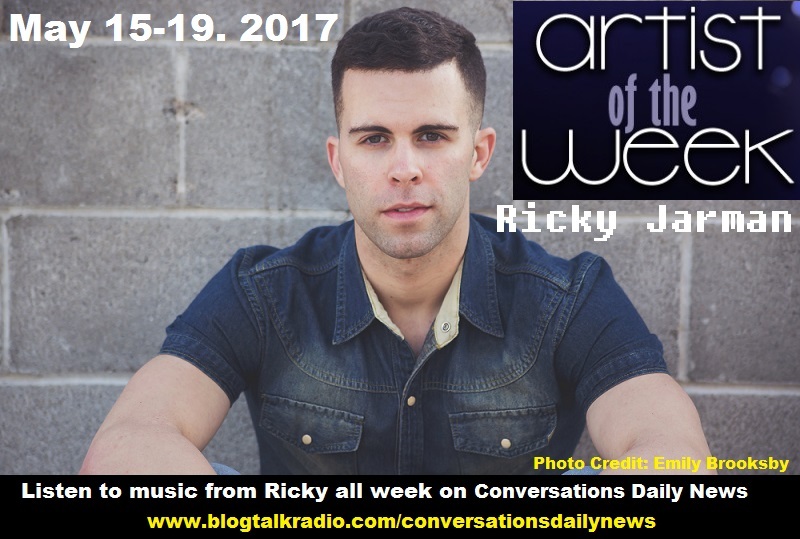 (May 15-19, 2017) Conversations' Artist of the Week: Ricky Jarman! During Monday's edition of Conversations Daily News on Blogtalkradio host Cyrus Webb announced that this week's Artist of the Week is singer/songwriter/dancer/actor/model Ricky Jarman! Jarman, who has been a repeat guest on Conversations LIVE the radio show, has released some amazing music over the years and in his announcement Webb said that the show will be sharing a different song every day on the program from the artist, beginning with the new SWEAT REMIX. Listen to Conversations Daily News all this week for your news, entertainment spotlight and music from our Artist of the Week Ricky Jarman at www.blogtalkradio.com/conversationsdailynews. Stay connected with the artist on Twitter at www.twitter.com/rickyjarman1 and on Instagram at www.instagram.com/officialrickyjarman.